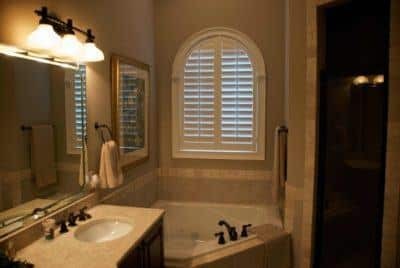 Like few other improvements you can make to your Huntington Beach home, updated windows and timeless window shutters can be transformative. The difference in comfort, in energy costs, and in the look and feel of every room is often dramatic. Thinking about replacement windows? We’ve already done the homework – selecting a line of windows offering the best materials and quality. Any window shutter you choose from us meets our stringent standards for durability and quality. Which means the fun part is up to you. What features do you want? How do you want your replacement windows to look and open? What about colors and grid patterns? We can customize replacement windows to suit any home style and space – usually in about a week. Huntington Beach CA windows, shutters, and more! At the Window Design Group, our reputation says it all. We’re known across Huntington Beach and nationwide as window specialists, able to guide you objectively at every step, from choosing styles and materials to assessing budget options. We’ve helped to transform thousands of homes of every size, style and dimension – so we can help you make choices you’ll be happy with for a lifetime. For every home environment, our replacement windows offer form, function and fantastic benefits. Transform your home in and out with bow and bay windows that bring in light and create new space. Transitions have never been more seamless and beautiful than with our vinyl patio doors and French door systems. The Window Design Group casement and awning windows offer a fluid swing-open design to capture just the right amount of Huntington Beach breeze. For smaller Huntington Beach homes, our slider windows are sleek, sensible and easy to clean. The Window Design Group wood-clad windows assure low-maintenance weatherproof surfaces on the outside of your home, with custom-stained wood interiors to match your decor precisely. If you have interior window coverings in mind, our shutters are some of the most dramatic and yet practical ways to transform a room. From an automated shutter system to diffuse a sunny skylight, to rich wood shutters for first-floor privacy and beauty, our shutters are surprisingly versatile and stunningly beautiful. What’s more, our exclusive composite shutters are guaranteed for life – with a durable, low-maintenance construction that our Huntington Beach customers love. And as for prices, we’ve worked hard over the years to establish efficient processes and strong manufacturer relationships so that we can beat or match any competitor in Huntington Beach. Shop around, and you’ll see we’ve succeeded!